Delmanor Northtown’s Art Showcase – Art & Passion Combined! Nina Amin, a world renowned artist has been holding Art Therapy classes at Delmanor Northtown since April 2018. The program started as an idea and grew into something well beyond the masterpieces created. 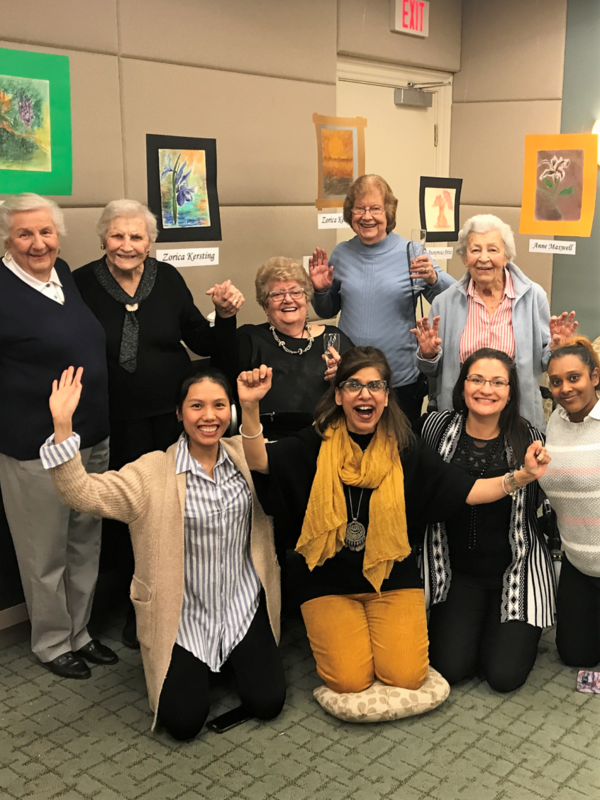 Some who joined were talented resident artists who have enjoyed painting all of their lives, while others discovered their talents upon trying one of the art classes. 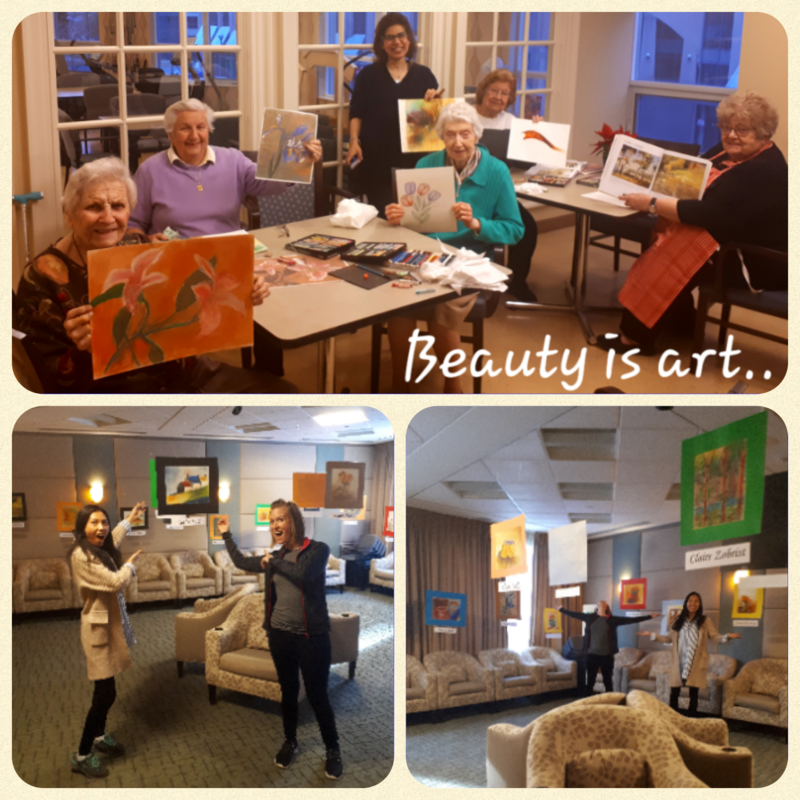 From the first sketch to the finished products, the residents enjoyed the creative outlet, the opportunity to gather and a chance to explore a side of themselves not yet discovered. 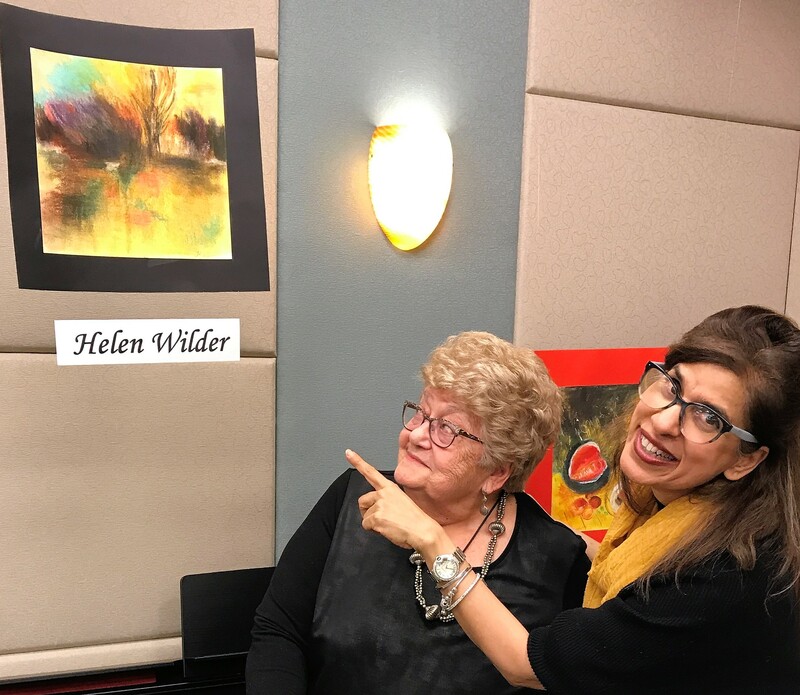 Our Delmanor Northtown Art Showcase displayed the work of our talented group and allowed the community to celebrate their passion and creative abilities! The Newton Theatre was transformed into our very own Galleria, where 8 talented artists shared 36 masterpieces. 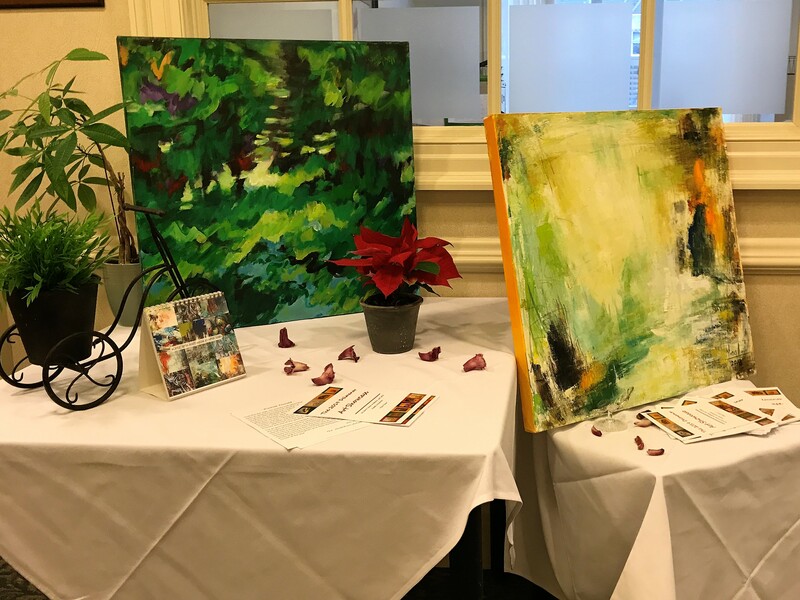 Many residents, family members and guests had the opportunity to meet the artists, to discover the inspiration behind the pieces and acknowledge their incredible talent! The showcase was a true success and a few of our creative souls were inspired by the event and will be joining our art classes to see what they could create. As Harvey Fierstein once said: “Art has the power to transform, to illuminate, to educate, to inspire and motivate”. The Delmanor Northtown Art Showcase was the perfect event that embodies all of that. Thank you to our amazing artists for sharing their work with our community and thank you to Nina Amin for her dedication, passion and love!